CBD is getting more popular in Alaska. But is it legal? This week, Coca-Cola Co. announced it is exploring options for selling drinks containing a cannabis-based product generally referred to as CBD. Cannabidiol, a mild derivative from the Cannabis sativa plant that has no intoxicating effects, and is championed as a natural remedy for all kinds of ailments. In Alaska, CBD is already showing up in drinks at cafes and in stores. But there are simmering disagreements about its legality. 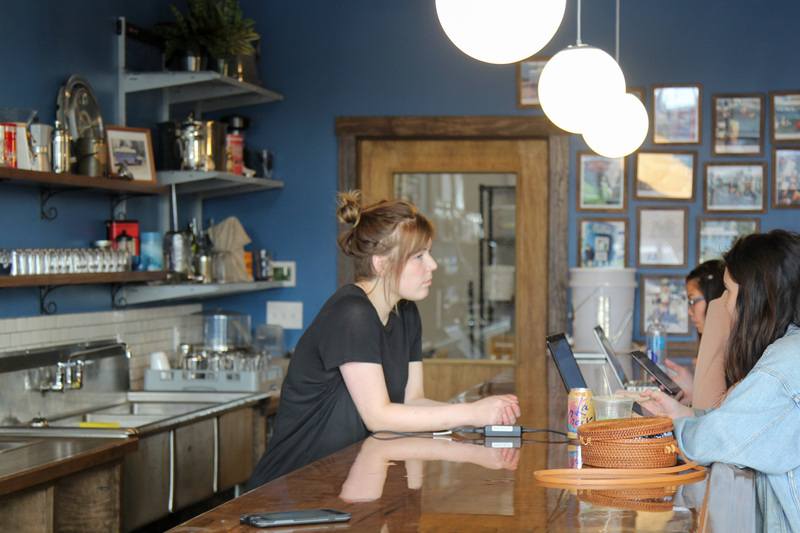 Behind the counter at Uncle LeRoy’s Coffee in Anchorage’s Spenard neighborhood, 22-year-old barista Madison McEnaney is assembling a special house drink. It’s the kind of decadent coffee drink one might splurge on as a treat. And for an extra $2, McEnaney tops it off with 10 milligrams of clear CBD oil from a small glass bottle. “One dropper full essentially,” she said casually with a squeeze of her fingertips. Uncle LeRoy’s sells CBD as an add-on in coffee and what they call “wellness drinks,” non-alcoholic cocktails of seltzer infused with ingredients like ginger root or apple-cider vinegar. The cafe is well placed to capitalize on popular health trends: squeezed between a salad joint and a yoga studio. Across the street is a newly opened Kombucha taproom. CBD was barely on people’s radar five years ago. Now, there’s no shortage of blog posts, promotional videos and local news stories extolling its benefits as a remedy for epilepsy, pain, anxiety and insomnia. Like other supplements and vitamins, these claims are anecdotal, rarely verified and not based on clinical trials. Last year, the U.S. Food and Drug Administration issued a warning to larger CBD producing companies untested claims in promotional material. “The FDA has grown increasingly concerned at the proliferation of products claiming to treat or cure serious diseases like cancer,” the notice read. Austin Schwartz is one of the co-owners of Uncle LeRoy’s, a business that started more than four years ago selling coffee out of a bus. 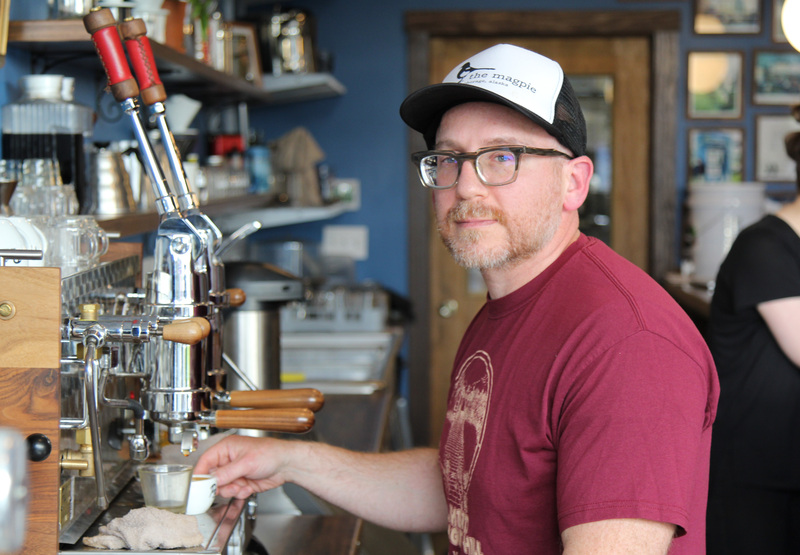 When the cafe opened several months ago, Schwartz decided that having CBD on the menu was a good way to give customers something you would not find in most other coffee houses in Anchorage. “I like that it does offer something a little bit different, it’s something new,” Schwartz said. His business is hardly the only one selling CBD in Anchorage and beyond. Not only can you get it in coffee drinks, but at garden stores, at health and supplement shops — even as a topical cream at Walmart. Last year, according to the Hemp Business Journal, CBD sales in the U.S. were worth $190 million. Schwartz uses a CBD oil made in Colorado, and is assured that there’s no legal or regulatory rules he’s breaking by selling it to customers. “We’ve spoken to a few different distributors and it’s something that doesn’t require a different type of business license or regulation,” Schwartz said. The business has never been approached by state enforcement officers or police about selling CBD. But whether or not these kinds of CBD sales are legal in Alaska depends on who you ask. For one thing, according to the U.S. Postal Service, you are not supposed to send CBD into Alaska through the mail. Alternatively, you could buy in-state products. Except that “there is no industrial hemp that is actually legally produced in Alaska right now from which to extract CBD to sell legally in the state,” according to Erika McConnell, head of the Alcohol and Marijuana Control Office. One might expect that as the state’s top official over marijuana policy McConnell would have authority over CBD. After all, it is extracted from the same essential plant that produces the buds, edibles and concentrates for sale in retail pot stores. As a result of Senate Bill 6, which passed in the Legislature during the last session, there are now separate definitions for marijuana and hemp under Alaska law. Marijuana is defined as those parts of the Cannabis sativa plant with enough THC — the active ingredient in cannabis products — to have a psychoactive impact. Hemp is defined as those strains and pieces of the same plant with 0.3 percent or less THC. Essentially, it cannot make one feel high, but still has many of the other components unique to Cannabis sativa. AMCO is in charge of regulating marijuana. Under Senate Bill 6, industrial hemp products are supposed to be overseen by the Department of Natural Resources. But it is not quite that simple. As laid out in S.B. 6, hemp in Alaska is supposed to be grown under a pilot program outlined under the Agriculture Act of 2014, the latest version of the federal farm bill. McConnell’s argument is that because Alaska has not set up that pilot program, the CBD that is showing up in stores and cafes cannot have been produced locally. So it’s not legal. But with a muddled understanding, scant resources and a low prioritization for relevant agencies, the law is not being enforced, according to McConnell. McConnell also worries that there is no one watching out for quality standards over a little understood substance being sold for a wild variety of reasons. “There’s just a lot of unknowns about these particular products, so I think we’re just in a buyer beware type situation,” McConnell said. The U.S. Postal Inspection Service said that under the Controlled Substances Act its still illegal to send marijuana extracts through the federal mail, even between states that have legal cannabis laws. But Garrett Graff disagrees. He is an attorney with the Colorado-based Hoban Law Group, and handles cannabis issues in multiple states. According to Graff, much of the guidance about CBD from regulatory and enforcement agencies is outdated since a federal court ruling in April. “The 9th Circuit Court of Appeals explicitly found that the farm bill preempts or supersedes the Controlled Substances Act,” Graff said in a phone interview. According to Graff, the courts found if a state has a rule about industrial hemp, then that takes precedent over the older Controlled Substances Act. In his interpretation of the ruling, even though CBD might technically be a controlled substance under the earlier law, for states like Alaska that are abiding by the newer farm bill provisions there is no legal problem. That extends to transport and commerce. “Practically speaking, as an emerging industry, there’s plenty of confusion,” Graff conceded. Amid competing interpretations, confusion is something everybody agrees on. McConnell was candid that regulation and enforcement of CBD is something every state with a legal cannabis framework is presently grappling with. DEC, DNR and AMCO are all currently discussing the matter with the Department of Law.